The national award-winning Gwinnett County Parks & Recreation operates 44 parks and facilities and has one of the most ambitious greenspace programs in the nation with 9,000 acres of park land. Several parks are being planned and updated with new equipment and facilities as promised in the 2009 SPLOST sales tax program. In addition, new facilities include four community centers, four aquatic centers, two tennis centers, a roller hockey rink, two skate bowls, a playground for children with special needs and several ball fields and dog parks. Gwinnett County Parks & Recreation is committed to serving every resident by offering more than 5,000 classes, summer camps and special events. The Chattahoochee River National Recreation Area includes five park units in Gwinnett County: Bowmans Island, Settles Bridge, Suwanee Creek, Abbotts Bridge and Medlock Bridge. Visitors can canoe, kayak and raft on Class I and II waterways, hike, and explore a wide variety of natural habitats and 19th century historic sites. The world’s largest manmade lake beckons Gwinnett County residents to Lake Lanier Islands Resort’s more than 400 wooded campsites for boating, fishing, hiking, biking, horseback riding, and Beach and Water Park (open from Memorial to Labor Day). At Stone Mountain Park, families can experience more than 3,200 acres of entertainment and recreation, including the 1870s Southern town, Crossroads, Georgia’s only 4D theater, The Great Barn, and the Treehouse Challenge. Plus, enjoy the Lasershow Spectacular, the Paddlewheel Riverboat, the Skylift to the top of the world’s largest piece of exposed granite, the Scenic Railroad, the Antebellum Plantation and Farmyard, the Discovering Stone Mountain Museum, mini-golf, water slide complex, unique shopping and great dining. For information about all of Gwinnett’s park and recreational facilities, visit Gwinnett County Parks & Recreation at http://www.gwinnettparks.com/. Metro Atlanta provides access to one of the most qualified, affordable, and efficient healthcare systems in the country. Metro Atlanta’s healthcare community includes more than 90 hospitals and psychiatric care centers, over 13,000 licensed physicians and over 100,000 healthcare practitioners. * In a 2015 study by the Robert Wood Johnson Foundation on County Health Rankings, Gwinnett County ranked second as the healthiest county in the state. In addition to general care, facilities for the treatment of mental illness, substance abuse, eye and ear problems, children’s diseases and cancer are widely available, as are state-of-the-art wellness, maternity and rehabilitation services. 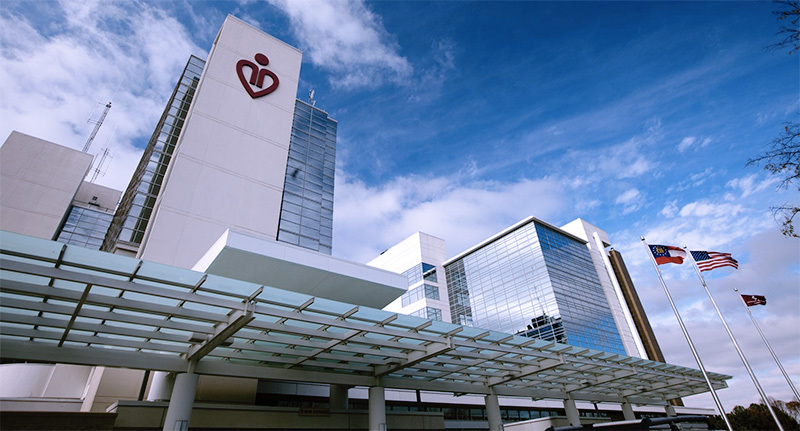 Gwinnett Medical Center, a 553-bed not-for-profit healthcare network, includes two primary hospitals in Duluth and Lawrenceville, along with other support facilities. With more than 4,100 employees and 800 affiliated physicians, Gwinnett Medical Center has repeatedly received national recognition for clinical excellence and ranks among the top 5% in the nation for clinical quality. Eastside Medical Center, in Snellville, is a combined effort between one of the world’s leading medical research universities and healthcare providers (Emory), the nation’s largest hospital corporation (HCA) and Gwinnett’s second-largest hospital system, Eastside Medical Center. It has 310 inpatient beds, approximately 450 affiliated physicians, and nearly 1,200 employees. It is a full-service, acute care facility. Children’s Healthcare of Atlanta is the only hospital system in Georgia solely dedicated to the delivery of pediatric healthcare. As a nationally recognized leader in adolescent healthcare, Children’s manages three hospitals and 16 satellite locations. With more than 7,000 employees and access to over 1,400 pediatric physicians, it provides individualized expert pediatric care for patients, up to age 21. The mix of housing options in Gwinnett County makes it the ideal choice for all lifestyles—young business professionals, families and retirees. Gwinnett boasts restored older homes near historic downtown areas, active swim/tennis neighborhoods, gated executive communities and no- to low-maintenance townhomes and condominiums. Gwinnett’s communities provide the best of residential living: safe neighborhoods, sidewalks, bike paths, and a host of amenities. Property is taxed to millage rates assessed by different government entitites. In Gwinnett County, these normally include state, county, county bond, the detention center bond, schools, school bond, recreation and cities (where applicable). For current millage rates, visit Gwinnett County Taxes. Several property tax exemptions are available to Gwinnett homeowners. For more information and to apply for tax exemptions, contact the Gwinnett County Tax Commissioner at 770-822-8800 or visit www.gwinnetttaxcomissioner.com. Click here to view Property Taxes for Gwinnett County. One of the most popular sports in the country, golf gets plenty of play in Gwinnett County on courses designed by some of the most renowned course architects in the world—Gary Player, Jack Nicklaus and Greg Norman, to name a few. Gwinnett County’s Parks & Recreation offers tennis centers and courts at several of its parks, and there are numerous private courts in various residential complexes.